Both B2C and B2B companies are making video an increasingly important part of their marketing strategy to guide their viewers throughout the customer lifecycle. As the role of video marketing increases, organizations are falling victim to a number of common mistakes. 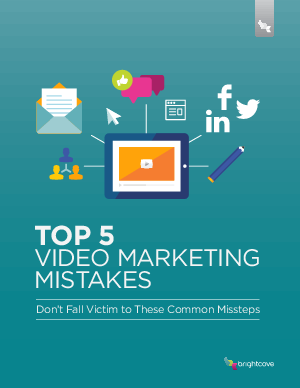 In order to help you avoid these common pitfalls, we present the Top 5 Video Marketing Mistakes.